- Adopting includes colorful optics design analysis, magnet design, ultraviolet spectrum analysis, infrared spectrum analysis, safety-line analysis. 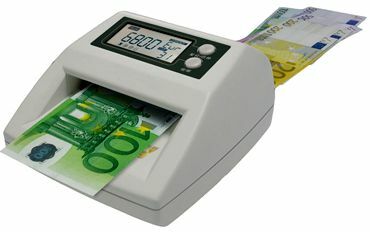 - Detecting 6 kinds of currencies and all the existing forged notes. Can be reprogrammed for any other currencies in the world as per customers need. - The direction of detection can be optional: back-ward or front-ward. - The real bill will pass automatically and show the par value, and the forged note will be exited and show the correspond information. - After finishing every operation, the par value and pieces and sum and other information can be shown. - Can be upgraded by distributor themselves in case there is any newest notes and find of forged notes.